Stefano Giovannoni was born in La Spezia, Italy in 1954, he studied at the Faculty of Architecture in Florence. Since graduating in 1978, he has been a researcher and professor of design, as well as working as an architect and designer, specialising in industrial and interior projects. He has won many design awards over his decades long career. His first win in 1980 was first prize at the Shinchenchiku Residential Design Competition, he has also won the Design Plus Award in Frankfurt and the 100% Design Award in London several times, and more recently the New York Interior Design 2012 Award. A master of Italian design, Giovannoni has spearheaded projects for a wide range of companies, including Magis, Nestlé, Fiat, Siemens and Nissan. 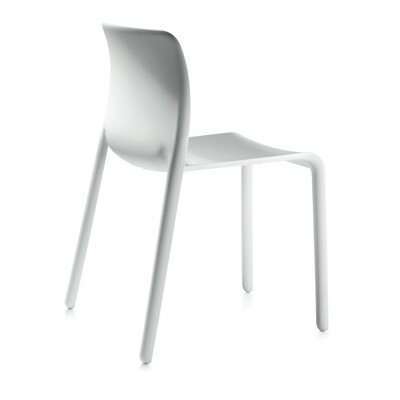 His most notable design is the Bombo stool, which he designed for Magis in 1998. The sleek, modern shape became the company's biggest seller for 10 years and, according to Giovannoni, has become the most replicated furniture design. 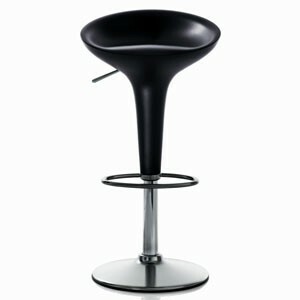 The Bombo stool is an eye-catching piece of furniture, seen in kitchens, bars and cafes the world over. Stefano Giovannoni designs furniture with a simple, yet strong aesthetic. Clean, sweeping lines are seen throughout his collections, using moulded plastics to create comfort and style.